We are all ordinary people, but like you already know some of us are more ordinary than others. It is the ‘more ordinary’ people in society that Jumoke Oduwole’s exhibition titled “Everyday People” (ongoing at ReLe Gallery, 5 Military Street, Onikan) focuses on. 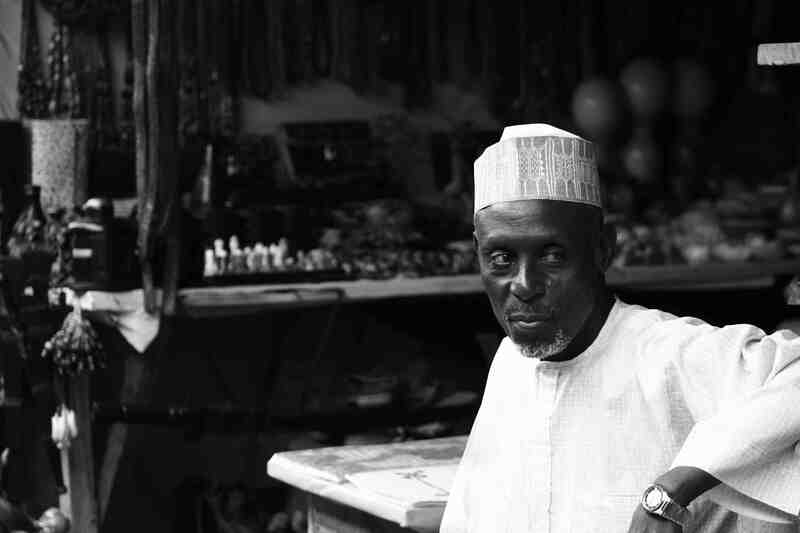 They are folks we see almost daily on our commute to and from work, while we speed off on the highways or while stuck in the sometimes tiring Lagos traffic perhaps, but whom we hardly give a second look. They trade in cheap wares by the roadside or in the markets and keep hope alive all so as to survive the harsh realities of the outdoors; the middle- and upper-class hustle too, only that the white-collar type of hustle is a wee more respectable in a world where smartphones and reality shows are the in-thing. So Oduwole wants you to pause a bit and appreciate the humanity in the fruit seller sitting under a stinging Lagos sun, hoping to sell the pile on her broad-rimmed tray; the slender young man pulling a cart packed metres high with waste most likely bound for a recycle centre so that he can earn the day’s lunch; the mother and child sleeping under a shade; the carpenter working on a window frame and smiling while at it; the child hawker looking forlornly ahead to meeting a customer when she should be in school. 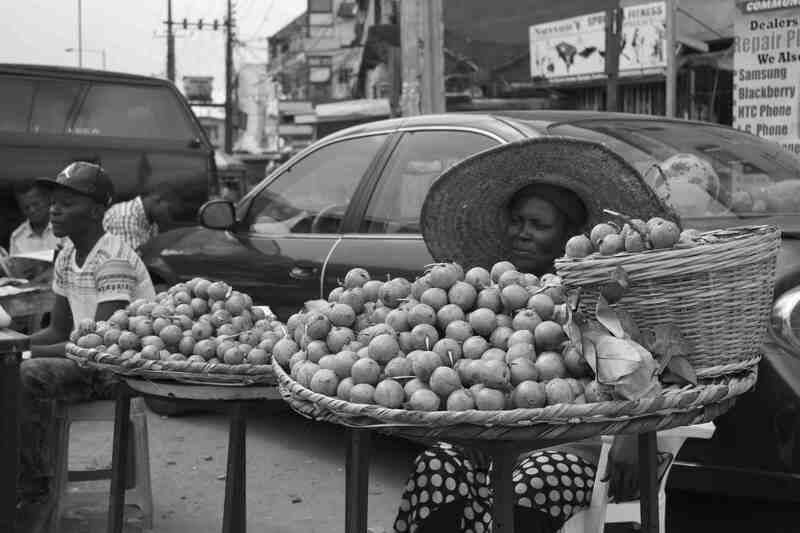 The exhibited photographs were taken recently–between 2014 and 2015–in places like Ojuelegba, Jankara Market and Iddo, areas given to rowdiness and endless spectacle. 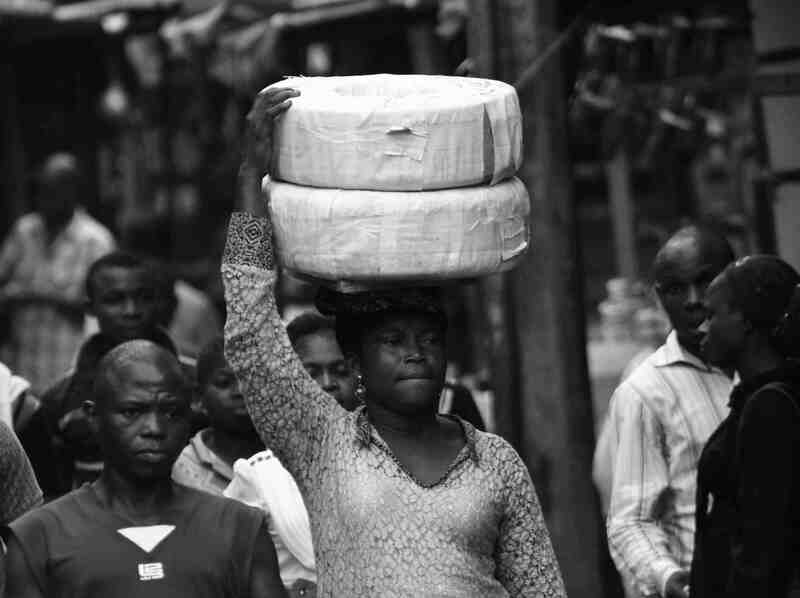 “I am particularly fascinated by how ‘ordinary’ people (the vast majority of the population) go about living their daily lives in the midst of the hustle and bustle of Lagos streets,” Oduwole says in the exhibition brochure. Oduwole is not professional photographer, though: an academic, I suppose she shoots whenever her schedules permit. According to the exhibition brochure, she “has been motivated to marry her photography with her passion about development issues in Africa”. Previous Previous post: Why I’ll be attending LagosPhoto Festival–for the 4th Time!